Richard E. Doherty is currently working in the Office of the CTO for Dolby Laboratories, as the Director of Connected Technology Strategy. Richard is responsible for technology engagements for digital media, including studio technology relations, acting as Dolby’s representative to DECE, DLNA, SCSA, ETC, and DASH-IF, as well as technical investigations into future technologies, products, and technology trends. Prior to joining Dolby Labs, Richard worked for the Media and Entertainment Group at Microsoft / Xbox as Director of Technology Strategy, where he contributed to the future of entertainment delivery at Microsoft. His work included contribution to product strategy and interoperability, content protection engagements, technical oversight of licensing deals, leadership in standards’ engagements, and enhanced online delivery of entertainment, as well as industry representation to AACS, DVD Forum, DVD CCA, DECE, and the HPA. 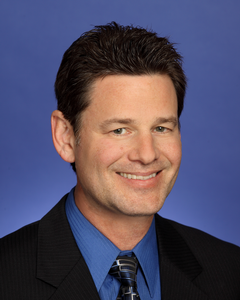 Richard previously held positions as Managing Director of Blu-ray and Professional A/V at Panasonic Hollywood Laboratory, Architect of the Aspect HD real-time editing system at the startup Cineform, engineering management as a Founder of the film matchback software company FilmMatch, Founder of the internet entertainment company Zodo, and as a Founder of the startup Silerity which delivered datapath optimization software tools for the design automation market (and was later acquired by Synopsys). Doherty holds several patents, and is an award-winning film director with a dozen film festival awards. He has a Bachelor of Science degree in Engineering from the California Institute of Technology, and a MFA in Film and Television Production from the University of Southern California.